The Lafayette Township Fire Cadet Program was established in August of 2003. The program serves as a learning experience for local teens as well as a support system for the fire department. Local teens that are enrolled in the program are taught the basics of the fire and emergency medical services through weekly trainings with the fire department as well as trainings that are specific to the program. 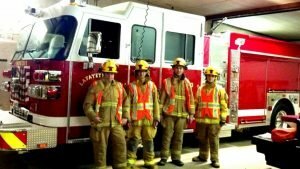 Once teens become acclimated to the fire department, they are permitted to participate in emergency calls that occur in Lafayette Township and Chippewa Lake under the direction of certified emergency personnel. In 2007, the cadet program became a member of the National Volunteer Fire Council’s National Junior Firefighter Program.By joining the NVFC, our cadets became eligible to earn certain rewards including t-shirts, merit pins, online profiles, and even scholarships for education, all by just logging their hours of service toward the fire department on the NVFC’s website. Also, by being a good standing member of the NVFC, the Lafayette Township Fire Cadet Program is also eligible for certain grants and financial assistance rewards that the program can use to purchase much needed items. Since joining the NVFC in 2007, two of our cadets have earned awards issued by the President’s Council on Service and Civic Participation by former President George W. Bush. In addition to the Presidential Service awards, cadets from Lafayette Township have also been named amongst the top 27 junior firefighters in the country entitling them to additional rewards and scholarships.In 2008, the cadet program also became a member of the Boy Scouts of America’s Exploring Program and became Explorer Post #2443. 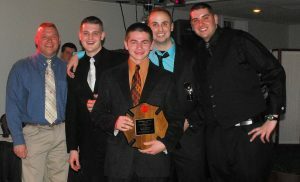 The BSA offers other amenities such as safety insurance as well as IAFCF Scholarships and Career Achievement Awards. The Cadet Program is always looking for mature youth to become part of our program. Must have a desire to learn about the FIRE and EMS profession. Must have a desire to help their community. Must be between the ages of 14 – 18. Must live within Lafayette Township, Chippewa Lake, or a nearby surrounding community. Must have a “clean” record, free from any probation, misdemeanor, or felony charges. Must be willing to participate in weekly and/or monthly trainings.